When ever you open website in Internet Explorer or any other Browser , Every internet browser Save website important information like clicked Website ,visited Website as Cookies in your Browser , although these Cookies are safe From any kind of virus and Spyware attack , but as these Browser Cookies grows Older , these cookies became useless for browser as well as for computer , because old cookies is like junk data which is not of any use , just used to Waste a part of hard disk Space . Sometime these Cookies also reduce your internet Browsing Speed to certain level or sometime You will not able to log in to particular site .To overcome Cookies problem in browser Its desired to remove cookies from you browser with time or When you faces Problem with login to any website via browser . 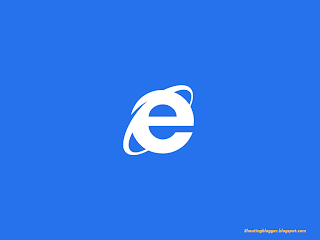 In this Article we will show you how to Clear Cookies in Internet Explorer in windows 8 . Step 4 : Under Internet Option Window , Click on General tab , then Go to Browsing History label , and click on Delete . Step 5 : Delete Browsing History Window Will be open , Under Delete Browsing History Window , Unchecked all the Check box . Step 6 : Now Only select Check box of Cookies and website data and click on Delete .